Eva Meyer is poor shop girl working at a five-and-dime. She is the sole wage earner for three younger sisters, a mother who struggles to hold everything together, and a father who prefers beer and penny dreadfuls to work. Each week, Eva returns to her cold-water flat and dutifully hands over her meager earnings to her mother. But her wages barely cover the grocer’s bill and cannot provide for decent clothing. 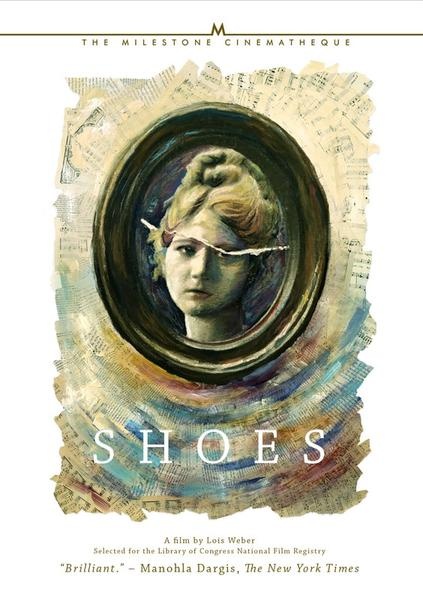 So begins Lois Weber's SHOES, perhaps her finest masterpiece and one of the great feminist films in the history of cinema. Together, with the recent publication of Shelley Stamp’s Lois Weber in Early Hollywood(University of California Press), Milestone is working to reinstall Weber into the pantheon of great filmmakers. Thanks to the incredible restoration work of the EYE Filmmuseum in Amsterdam, Milestone celebrates the film's 100th anniversary with a release that will be an important addition to every women's studies and every film history course. This Milestone edition also contains exclusive bonus features.